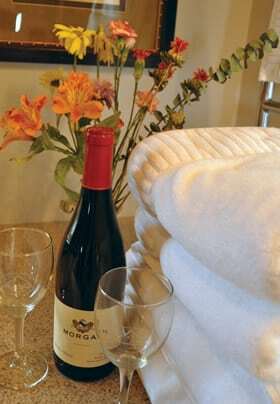 Make your stay at Lucille’s Mountain Top Inn & Spa extra special by adding on a special treat. Simply add any of these items to your reservation when you book on-line or request them when making your reservation by phone. If you do not see what you are looking for give us a call. We can get very creative to make your stay at our Blue Ridge Bed and Breakfast even more memorable. Add a massage, facial, or an afternoon spa package while you are at Lucille’s. Or, treat that special someone to a couple’s massage. Our licensed therapists are versed in the latest techniques, and our facility is designed for your total comfort and relaxation. Check out Lucille’s Spa Menu and simply add a service on to your reservation when you book on-line or request a service when reserving by phone. Thinking of getting engaged on your visit? Lucille’s Mountain Top Inn & Spa is the perfect romantic spot for proposing. You might like watching the sun set from the back porch swing when you propose. Perhaps gazing at the stars over the Sautee Valley from one of our gazebos. Give us a call, and we can help with all the details to make your proposal a special occasion you will always remember. My fiancée couldn’t have thought of a better place than Lucille’s to propose. Sitting on the swing looking out over the mountains and then the first stars of the night. It was perfect!